I’d like to cheer you on this year. The best way I know to do that is studying God’s Word together! LET GO of everything that holds you hostage to a “less than” life such as past mistakes and failures. 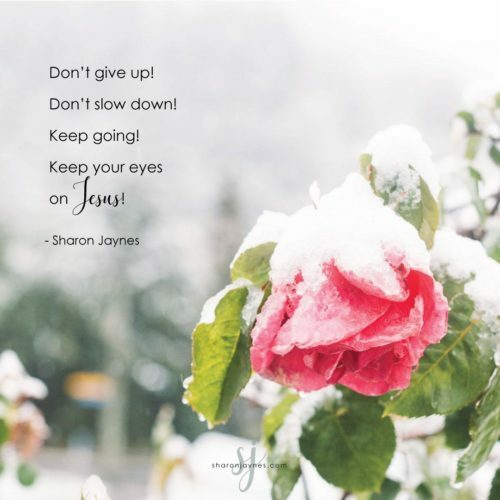 MOVE FORWARD with the mountain-moving faith you’ve always wanted. 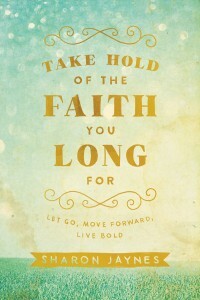 LIVE BOLD in the exciting adventure of faith with confidence and courage. Looking forward to studying with you. I need The encouragement and the support. Thank you. Dear Sharon, I’m thanking God today for seeing your email about encouraging your spouse instead of nagging. I’ve seen so many marriages fall apart because as women we can do this and its so sad. richer or poorer..” we have endured through it all only because God was our strength. Thank you for the study you are offering “Take Hold of the Faith You Long For.” I’ve been in a real low place again with my health and happiness so some encouragement from another sister in Christ is just what i need to get back up again and move forward into this new season of joy and blessings that God has for me. Hope and pray you are doing well today and enjoy a lovely day. May our dear Lord continue to bless you as you bless others by teaching His loving living word. Wow, kind of scary reading about the rules and data in Mailchimps. Do we have to use it and is it safe.